Recently, I heard the gripping tale of the Angulo family. The six Angulo brothers had spent a good portion of their lives pent up indoors unable to communicate with the outside world. Their saving grace? Watching movies. Utterly enamored by the movies they had seen (over 2000 of them), they turned to filmmaking in order to gain knowledge, offering them a gateway "into another world" where they and not their father held the keys. Now the subject of new documentary, The Wolfpack, the brothers and their mother have been liberated from their prison home and are each navigating modern society and leaving a mark on this world on me. Not simply because they were trapped in their tiny New York apartment until most of them were well in their teens, but because they are a living testament to all of the inspiration that a single motion picture can provide. The cinema has the power to create emotions, and an unwavering ability to bring people together in the most wondrous ways. All it takes is one thing. One short but expertly delivered line can stick in your mind forever. One scene can open doors that you never knew existed. One song, can implant a dream in your heart that will change your life forever. I can assure you that there is no greater pleasure in my heart than the thought of watching a new movie. From a young age I've been exposed to the work of the greats, and the many masterpieces within different genres and countries of the world. Watching movies quickly became a part of my diet. For breakfast, an old black and white Elvis musical (preferably Viva Las Vegas). For lunch (and before soccer practice), an action-thriller like The Italian Job. And if I was lucky, I could sneak in a Disney classic for dessert (usually The Lion King). The trip to the theatre not only offered me a chance to indulge in unhealthy amounts of popcorn and play in the arcade (bumper cars and mini bowling were the best), it was an opportunity to visit another place. 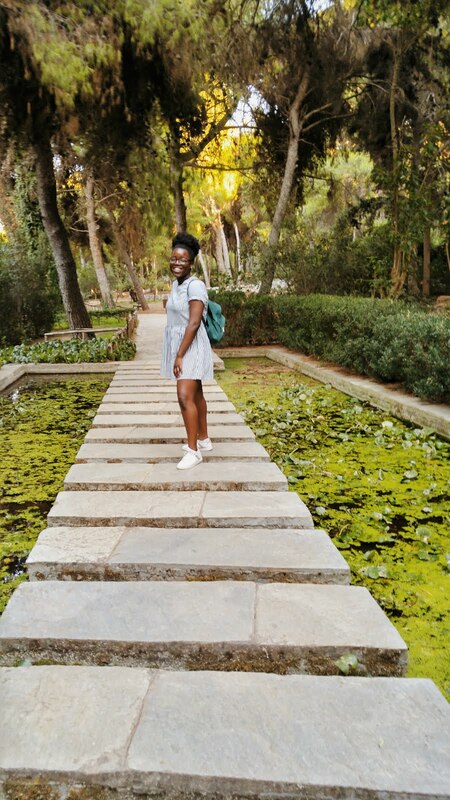 To explore worlds unknown to my young self, gain precious insight into the adult world (that now that I'm older prove to be mostly false -- *cough cough cough* High School Musical ), and the ability to start the all important task of making my own future. The experience is similar to that of little orphan Annie's (the 1982 version, not the newest one) except instead of falling asleep, I'm enlightened and awakened. As a result, from the moment I see the glossy poster on the side of a bus, it's love at first sight and I am instantly reeled in (pun intended). Like any other fanatic, my heart begins to race and a high-pitched squeal rises in my throat as I wave my arms around like a real life inflatable wacky waving inflatable tube person. Before the film's characters get a chance to capture my attention, the title of the feature itself has managed to tug on my heartstrings. I applaud its handiwork, its unfailing ability to make me feel giddy with joy, but fraught with anticipation from the moment I hear the release date. Through films I have learned patience, a skill earned after many bouts of waiting for a movie to premiere. A talent I have honed as I've distracted myself with reruns of other released flicks. A skill I've mastered after watching trailers over and over again in hopes of catching a detail I might have missed before. Unsatisfied, I watch character interviews to bide the time until the big day. Flash forward a few months. Exams have been written, the snow has melted away, and the era of summertime blockbusters begins. Suddenly, there is no time between me and my chosen motion picture. With ticket in hand I rush with wide eyes and smiles into the cinema. A place where art in all of its forms comes to life. A place where emotions and imaginations are set free with every special effect, orchestrated suspenseful moment and twist and turn. Swept by the flow of the crowd, I walk float with building anticipation towards the appropriate viewing room. With every step taken and with every sound of the undercooked (overpriced) popcorn, stomping and popping to the beat of the move goers hearts, I draw closer and closer to my goal. The lights go out, a hush falls over the crowd and I settle into a place where reality is left behind and a new world is mine for the taking. Handing the reigns over to the creator of the film, I allow myself to be taken on a journey. Entrusting my time and hard earned dollars is a task for the most devoted of souls. Faithfully, I surrender to the magic of the story playing out before me, all the while praying that bits and pieces of it will stay with me long after the theatre lights have turned on again. A few hours later I emerge from the premises filled with a renewed sense of hope, restored faith in humanity, a new friend, and heartbroken at the thought of never being able to experience the film with fresh set of eyes again. Torn between the value of my sanity and the amount of cash in my wallet, I contemplate watching it once more (in 3D). Happily, I try and fail to recount the adventure I've had the pleasure to partake in and the people I've met. Resigned, I return home, with hope that this spell it has cast will last me until the following summer. Until then the cycle continues, and I wait patiently for news of its return to the big screen. P.S. For more on The Wolfpack click here. A few months ago, if you had asked me whether or not I thought caring for a plant on my phone would improve my health, I would have laughed. I didn't know that clicking download in the the app store would be the catalyst to helping me focus more on myself. I have a lot of lifestyle applications on my phone that I loved from day one, but this one took a little longer to grow on me. 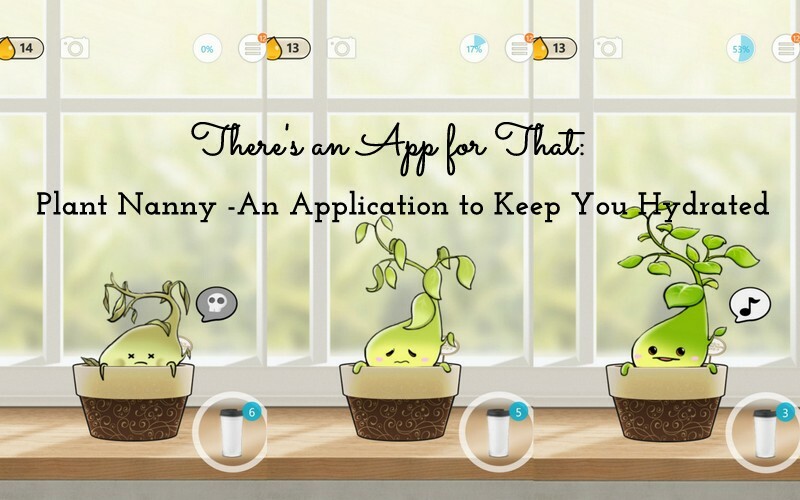 So, without further ado, I present to you the water-reminder application, Plant Nanny. The name and the concept itself sounds a bit bizarre, but I can assure you that the results are not. You begin your Plant Nanny journey by picking one of the many adorable plants, choosing a pot and naming your new companion. Then after filling out some information about your height, weight and age, you can begin "watering" your plant with the simple press of a button. Operating on a system of trust, you are basically the owner of a garden on your phone. The more water you drink, the more it grows and the more you become addicted. Initially, I was forcing myself to drink the designated amount of water, but soon I reached a point where the line between the game and reality blurred. I went from being a skeptic who drank around 1000 mL of water, to a firm believer who drank almost 3000. I began drinking mostly to keep the plant alive, and less for myself. And therein lies the power of the app. The plants are so cute that you can't help but want to help them grow and add more to your collection. 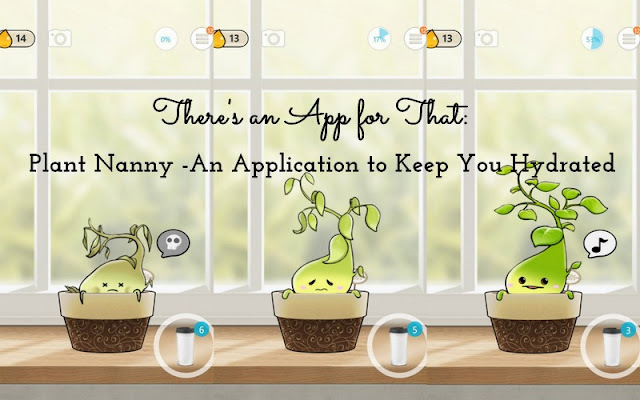 The app has found a way to harness the power of sheer cuteness and used it as an incentive to keep us plant nannies hydrated. The creators of this app have strategically distracted us with the various personalization options and detailed storylines of each plant so that we don't realize that we are getting healthy. All we can focus on is having fun, which in my opinion is the best way to get things done whether it's for studying or exercising. I'll admit that Plant Nanny-ing isn't for everyone. I have friends who think I've gone mad, and laugh whenever I get excited about a new plant, but at least I'm hydrated. Like I said, it operates on a trust system, so you really need an open mind and the willpower to actually press the button when you've actually drunk something and not to keep your plant from dying. However there is little to stop you from doing so, and like I told my friend when she tried to water my plant herself, "The only loser in this situation would be yourself and your health". With a little determination, your plant pal by your side and a set goal in mind, you'll be well on your way to a well hydrated body and glowing skin. What apps do you use to help you stay healthy? After several months of rain, snowstorms, and cold weather spent searching for pictures of faraway destinations while impatiently waiting for the Sun to shine, we finally have Summer. Finally, there is no homework, no rules or fixed schedules, and only opportunities and adventures to look forward to. Our only enemy is time, always ticking away in a never-ending countdown until September until we're trapped inside the school once more. While we can't turn back time, we can seek to properly use the time we are given by not sitting idle, and being willing to step outside the door with an open mind and curious hearts. I've taken plenty of tests over the years, allowing me to make plenty of errors. On the bright side, all of my mistakes have allowed me to create a lot of test hacks. So, here are a few of my best tips that I follow in order to deal with stress on the day of the big test. 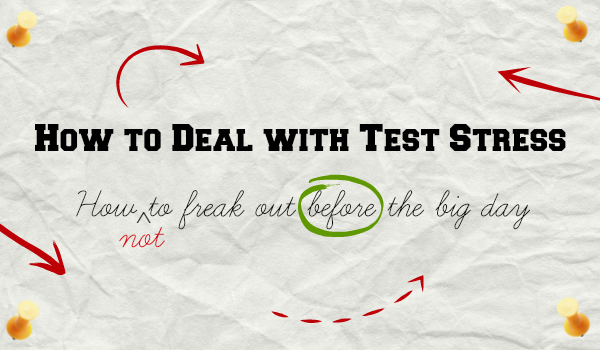 Before you enter that testing zone, make sure that you have all your supplies. Find out beforehand what you are allowed to bring to avoid any unnecessary surprises. I learned the hard way that my school doesn't allow us to test with our pencil cases or with water bottles that have any removable wrapping. Instead of using a clear ziplock bag like everyone else, I had to hastily empty out my well-organized pencil case. Writing an exam is like training for a marathon. In order to succeed, you need to eat well and hydrate. The proper nutrients help you to reduce stress during the test because you don't have to worry about how loud your stomach is growling. It helps you to focus on your task, and not on what your post-test snack will be. When you are running a marathon you want to have the best sports attire to keep you moving. The same principle applies to writing an exam, except comfort and layers are key. This way, you can add or peel off a layer based on how you are feeling. No one wants to be the girl who is filling out the scantron card with one hand, and fanning herself with the other. The key word here is briefly. Don't cram, especially not right before the exam. Trust me, it will just add to the amount of stress you may already be feeling. Once you've finished reviewing, take a break and move on to the next step. Take a few minutes to imagine yourself taking the test. Picture yourself being confident, and recite positive phrases to psyche yourself up, not out. This is a small, yet crucial step which can help me reduce stress while putting a smile on my face. Do not devote your whole time to one single question. Try it, but if you are still stumped, bookmark it and return to it later. Focus on the questions that you can answer, then come back to the rest when you have a clearer mind, and can approach it from a new angle. I've been one of those people who skimmed through a question to save time, thought she understood it and dove right in, only to realize that I had either missed some critical info or answered the wrong portion. Don't be that person, make the right choice and read the entire question. When studying for the SATs, every website I read kept telling me to not worry about anyone else because they were completing a different section than me. I only looked up for two reasons during the test: to check the time and to check the time until our next break. During one of those moments, I looked to the right and saw the person beside me zooming through the questions. In retrospect, this was either because he had been completing the grammar portion while I had been doing math or because he was just a whizkid. Either way, it managed to make me anxious, lose my focus and my mojo. The clock is your best friend, and time is your enemy. Having a watch is a great way to help you stay on track, and pace yourself so that you don't spend too much time on one section. P.S. Check out, How to Deal with Stress Before the Big Test Day. When it comes to tests--especially important ones--I tend to get stressed and I'm not the only one. There have been days when as soon as the papers were handed out, I froze, my mind blanked out, and I was left with a bad mark, and the fiery determination to not let this happen to me again. Unfortunately, it did. I've had a rough year, but I've managed to calm my nerves and boost my confidence. 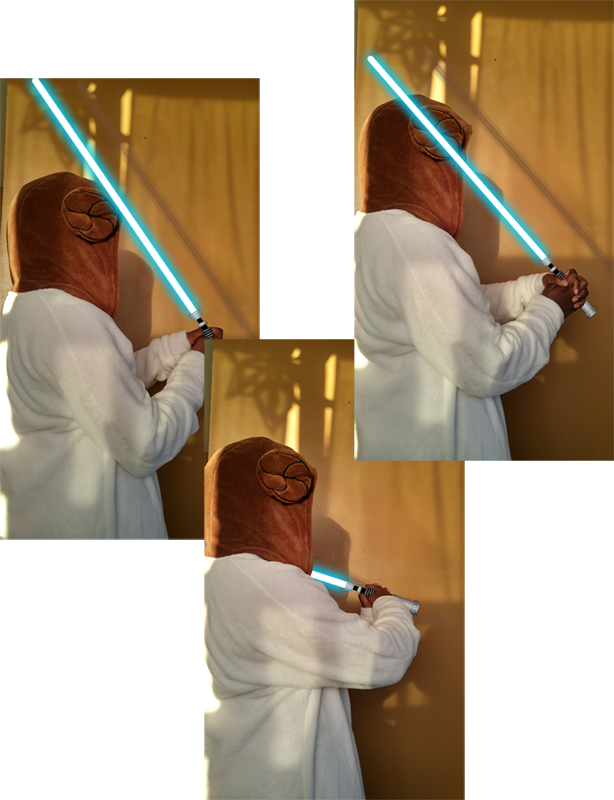 I've also decided to exact the ultimate revenge against test stress by creating this three part series. Don't lose hope just yet. Although nerves can get the best of you, it's important to focus on the information you already know. In order to deal with your test stress, you need to take comfort in the fact that you have been learning this subject all year. Do not spend the day before the test or exam immersed in a pile of textbooks, flashcards and the audio version of your notes. Go over everything briefly, and only focus on what you are unsure of and/or what you know will be on the evaluation. Do not constantly think about the test and all of the possible questions that could be asked. There is no possible way of you knowing the type of information unless you do the test itself. Think and worry about things that you can control and not those that you cannot. Get sleep, and lots of it. Next to diamonds, Nutella and comfy pyjamas, sleep is a girl's best friend. Go to bed at a decent hour so you will wake up fresh and ready to get going, rather than groggy and stressed. Although cramming into the wee-hours of the night seems like it helps, it really doesn't. On the test itself you need the sense of alertness that sleep gives you in order to not make minor errors that will cost you marks. Get outside, and get moving. Grab a friend or a sibling and go find a fun activity that will take your mind off of studying for a few hours. This will help your brain not to "overheat", and keep you motivated and energized if the need to do some last minute reviewing should arise. 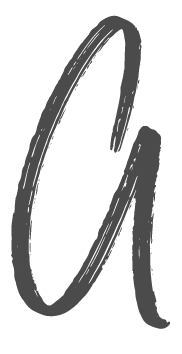 Think about all of the good things that final tests symbolize. With final exams, comes the end of school, bringing summer vacation, sleeping in, spending more time with friends and family, etc. In other words, this is just one minor obstacle in the way of one long fun summertime. Once you cross it off your list, you are free to spend your time the way you want. A good friend will pick up the phone and listen to your problems, but a great friend will do all of that and give you a good verbal slap in the face. They will help you to calm down, get a grip and remind you that it is just a test and that you are going to do great. Or better yet, they will help you to do a quick review and clear up any remaining doubts you have. P.S. Click here for more study tips and tricks.